“The city’s been suffering. People less fortunate than us have been enduring very hard times.” Thomas Wayne spoke these words to his young son, Bruce, in Batman Begins. The once proud, thriving metropolis had now become a place to be feared, pitied. Unemployment and high crime rates made a visit to Gotham seem about as appealing as a trip to North Korea in winter. And while Gotham itself may not be real, you don’t have to go far to identify an American city that shares the same hardships and turmoil. That city of course is Detroit. Now this piece isn’t about shining light on the hard economic times the city and its people have been going through, nor is it supposed to offer answers about the rough road to recovery that lies ahead. What this piece is about is hope. 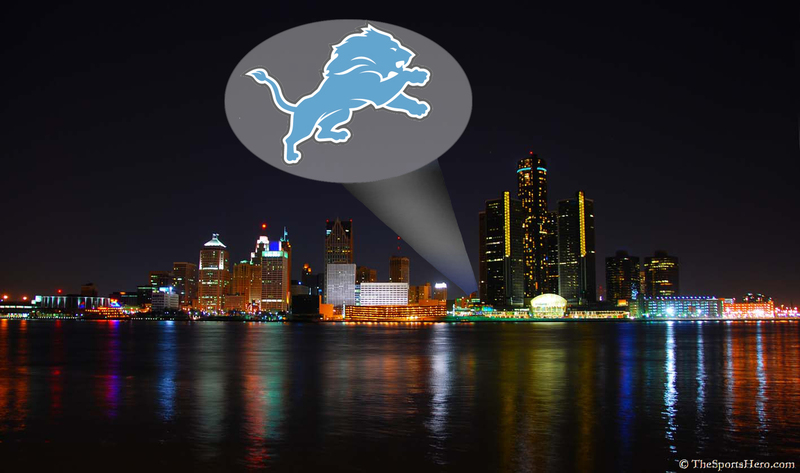 Whereas Gotham City has Batman as their symbol of hope, the Motor City has recently found its own symbol of hope in their Detroit Lions. I know it’s hard to say, and even harder to believe, but unless you’ve been stuck beneath a roll of Paula Dean’s back-fat these past six weeks, you know that this year’s Detroit Lions team is for real. Not only that, they embody the resiliency and attitude of the hardworking people of the city. After Sunday’s tough home loss to the equally surprising San Francisco 49ers, it’s easy for our minds to want to revert back to memories of Lions teams from years past and remember the way they toyed with us and made us believe they had turned the corner onto the road of respectability. After all, it feels like every NFL season sees a team get off to a hot start only to fizzle in the end. Keep in mind, the Detroit Lions of 2007 were 5-3 at the midway point of the season, only to go 1-7 in their remaining eight games to finish the season with a sub .500 record of 6-10. Couple that with their 0-16 record the following year, the Lions went just 1-23 in a 24 game span. Simply put, the Lions of yesteryear have been to Detroit what the Riddler is to Gotham: an enigma. Whenever you think you’ve got them pegged, they pull the rug out from under you, leaving you dazed and confused and going back to the drawing board scratching your head. But this year’s Lions are different. They’re resilient. You can see it in the way they play. Twice this season the Lions have come back from second half deficits of 20 or more points, doing it Week 3 against the Vikings (20 point deficit) and Week 4 against the Cowboys (24 point deficit). Even more impressive than that? Both wins came on the road, a place where the Lions have been more cowardly than courageous as a franchise. Since the Lions first came into the league back in 1930 as the Portsmouth Spartans, their overall franchise record coming into this season was 468-577-25, with their road record being 181-333-15. Up until a win last December in Tampa Bay against the Bucs, the Lions had had an NFL-record 26-game road losing streak. So far this season, they already have three road wins. That right there shows you just how far these Lions have come, and how much further they can go. Take one look at the Lions roster, and it’s hard not to be optimistic about their future, especially when looking at their three star players, all of whom are under the age of 27. Their quarterback, Matthew Stafford, currently ranks fourth among NFL QBs in passer rating (98.2) and third in touchdown passes (15). Wide receiver, Calvin ‘Megatron’ Johnson, has already set an NFL record by catching nine touchdown passes in his first five games, and the Lions’ defense is anchored by reigning Defensive Rookie of the Year, Ndamukong Suh, who recorded 10 sacks in 2010, and has drawn comparisons to the late, great Reggie White. Even more impressive than their play has been their attitude towards playing for a franchise that has been stuck in the doldrums for decades. Prior to being drafted first overall by the Lions in 2009, Stafford said he’d love to go the 0-16 Lions because of the challenge it presented, something he reiterated during his introductory press conference. Suh, and the rest of his teammates, have helped change the culture of the Detroit Lions, and with it, the culture of the city. There’s an attitude and swagger surrounding this team and city that hasn’t been present for years. And just as Bruce Wayne hoped to inspire the people of Gotham by fighting as Batman, Detroit’s NFL team hopes to inspire its city by playing as Lions.